I don't know about you all, but I *love* scented candles in my home -- especially in the fall and winter. What I don't love is trying new scents and being disappointed. I cannot tell you how many candles I have bought that smelled great in the store, but when I lit them at home they had little or no scent. I have even ordered candles from major candle companies, only to find they were not what I expected. I will never have that problem again thanks to April at Folky Art Candles. I ordered two candles from her etsy shop after reading a review by Jennifer at The Old Painted Cottage. I was blown away when I got them, and thrilled when she asked me to write a review. April has been making hand-poured candles for 14 years, and it is obvious she has mastered the craft. All of her scents are custom blends using only the finest essential oils and perfume grade oils available. dried fruit notes of apple, plum, and orange! This candle will fill your home with so much coziness! A favorite among long time customers who choose it as their signature home fragrance. RUSTIC LOG CABIN ~ Spicy cinnamon and oak logs blend deliciously with bright citrus peel, and warm buttery vanilla. Mid layers of baked apple compote gives life to this multidimensional fragrance. So delicious and cozy, light it up and grab a book! It's comfort time! This is not a sweet fragrance, think of is as a deluxe apple and oak type fragrance. Don't the descriptions make you feel like you can smell them already?? 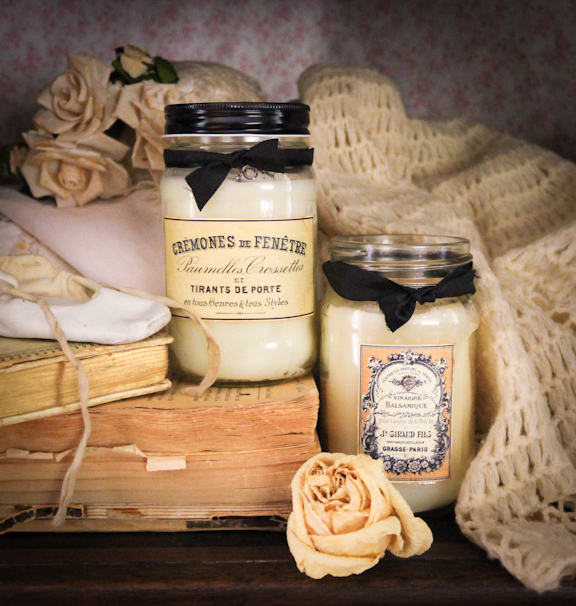 The 16 ounce jar candles are made with her own clean-burning paraffin soy wax blend and scented to the maximum, then hand-poured into thick glass mason jars. She also makes the beautiful labels using her own collection of vintage cards and postcards. April also sent to me three more scents, Patisserie, Ooh La La and Cinnamon and Balsam, which are all equally yummy. I do not have enough words to describe how wonderful these candles are. I can only tell you to try them because you will fall in love as I did. I'm picky... really picky about candles, and I will never buy candles anywhere else again...ever. They are *that* good. And to top it off, April is a doll. She is sweet, caring and kind. I love to support American small businesses, and give others the opportunity to do the same, so please go by and visit April. These candles would also make great gifts, and she offers some seasonal fragrances you will not want to miss. Check out her store on etsy, Folky Art Candles, and you will fall in love too!! Anita, lovely review. 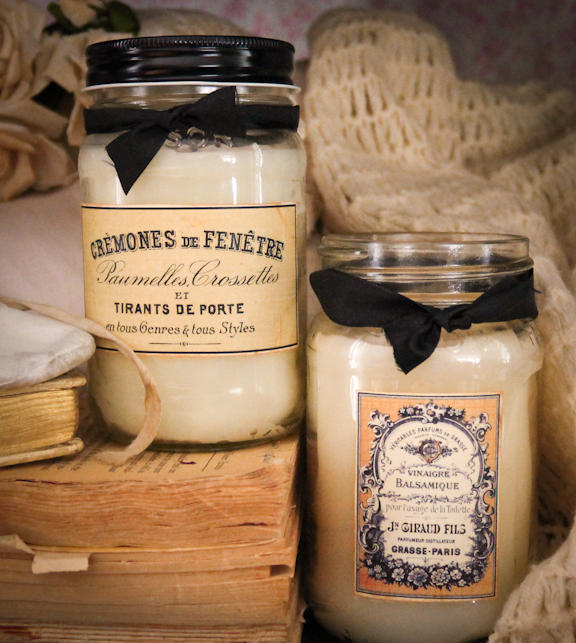 I love candles and will have try soon. Thanks for your review. Blessings for the new season and your wonderful ministry works.Thanks for sharing. I love April's Candles, too...and have 3 of them now - with 4 more new ones ordered!! Can't wait to get them!!! I just ordered some of Aprils candles and I can't wait to try them. Thisis just up my alley, I LOVE candles, and like you especially in the Fall and winter. I will go over right now.